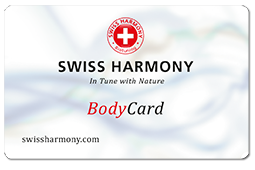 Swiss Harmony’s BodyCard helps to combat the strain of electrosmog. When worn in a pocket or directly on skin it neutralises the negative influences of electrosmog, mobile phone radiation, water veins, earth rays, and environmental toxins. We have had especially good feedback when used during a stay at a hotel. Keep it in your pyjama pocketor in the keycard slot by the door. I would use the BodyCard near me when phone is in my pocket. Family, friends and people at work I would recommend the product to. The quality of the product is good, but could it be smaller?